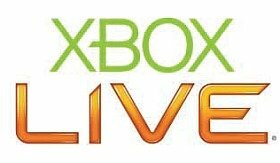 The competition with Sony made Microsoft to look the other way and allow Capcom to go over the 150MB Xbox Live Arcade game file-size limit. The titles that are to benefit from the special treatment are Bionic Commando Rearmed and Super Street Fighter II Turbo HD Remix. After all, they must measure up to their counterparts on Sony’s PlayStation Network. "There had been some concerns, both from the producers and the public, that XBLA versions of both games may not be as super-duper as the PS3 versions," writes Capcom’s Chris Kramer on the company’s US blog. "Specifically, we had been concerned that the 1080p resolution art for SSFIIT HDR would not fit onto Xbox LIVE Arcade, while Ben Judd mused that the 360 version of BCR might not have the same hi-res textures as the PS3. Good news, everyone! Problems solved for both titles." "Microsoft has told us that […]they do not see a need to change their policies anytime soon." Still, " if a game warrants a file size exception, they’ll provide one on a case-by-case basis." Bionic Commando Rearmed is to make his debut on Xbox Live Arcade, PayStation Network and PC this May. Street Fighter II Turbo HD Remix is still to reach its beta, so don’t expect a release date set in the very near future.